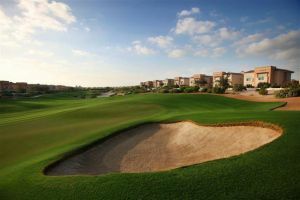 The newly opened clubhouse provides you with everything you could ever need before or after a round on one the world class golf courses on the estates. The services offered by the clubhouse include high quality changing rooms, a large well stocked pro shop, bars, restaurants, swimming pools and conference room. 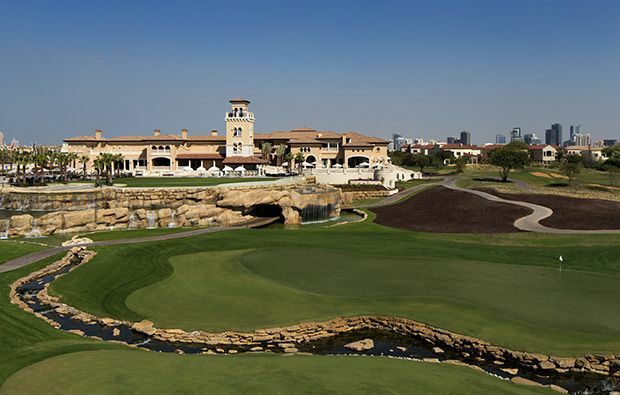 Opened in 2009, as host of the Dubai World Championship, the course was designed by legendary golfer Greg Norman. 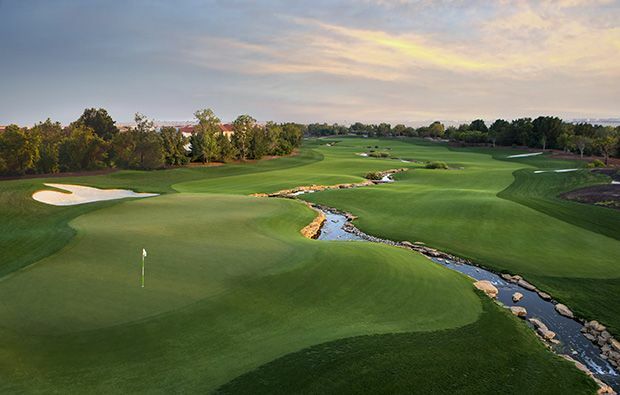 In 2008 Sergio Garcia, Justin Rose and Darren Clarke were amongst a handful of golfers that were invited to play what designer Greg Norman calls “the most challenge mile in golf”. 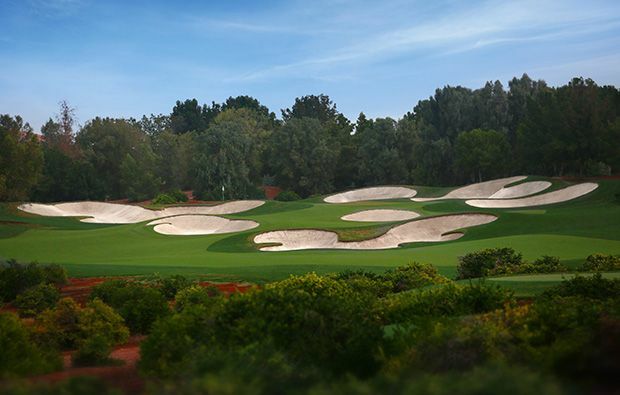 The Earth course was inspired by the parkland courses of Europe and America and boasts picture perfect holes, abundant with indigenous trees and shrubs. The fairways are rolling perfection and look like carpets rather than grass fairways. 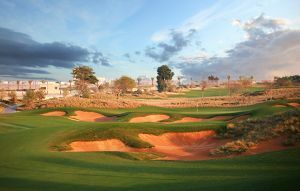 Huge bunkers catch the eye and many a golf ball, as their placement adds to the intricacy of the design of the course. 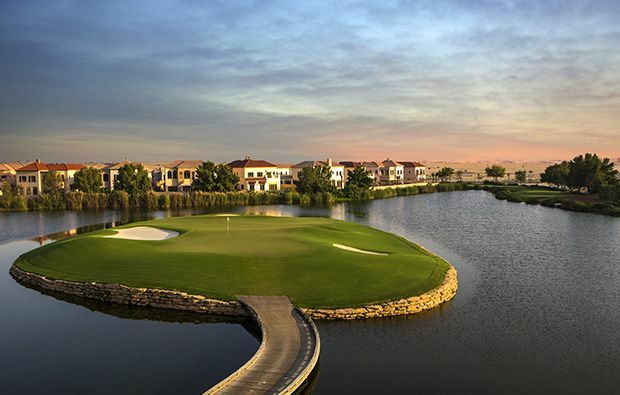 A collection of lakes and a meandering creek on the final home give sanctuary to a large variety of wildlife which only adds to the magical atmosphere of the Jumeirah Golf Estate. 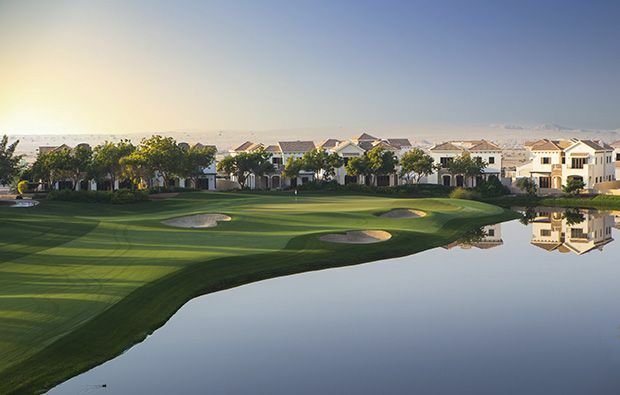 The Earth course is one of a handful of golf courses that gives you the feeling of guilt when you take a divot out of the perfectly formed fairways, but it is well worth a visit. 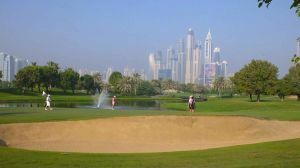 Without doubt you should be booking you Dubai tee time here on possibly the hallmark golf course of the Dubai golfing circuit. The course boasts many a spectacular hole, but for many these holes pale into insignificance as the final hole blows the mind. The longest par 4 ninth is a great finish to the front 9. Although relatively straight forward from the elevated tee, the approach into the long, well protected green is the key to walking off this hole with a par. Bunkers positioned both front right and left make for an extremely difficult approach to a front pin location. Miss the green and you will face a near impossible up and down. The monstrous par 5, 14th is a true par five in every sense. Length is crucial from the tee to avoid the bunkers on the left. For the majority of golfers the lay up shot needs to be played short of the large bunker in the middle of the fairway. The green and lay up area is also protected by a large lake running down the right hand side of the final portion of the hole. But it is the final hole that lives long in the memory; it is an absolute design masterpiece. The water on the right doesn’t come into play but is aesthetically pleasing none the less. But it is the inclusion of the creek that makes this hole special. The fairway is split in two by the creek and offers options for the golfer. Right and you are faced with a narrow portion of fairway to hit; left you are left with a more difficult second, which should be played to the right of the creek, which then meanders round the left of the green ready for any shot heading towards it. The green is huge and well-guarded; it is a truly amazing finishing hole for any championship. 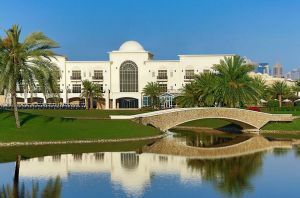 Jumeirah Golf Estates Earth Course has different Services to offer. Choose a date and number or players to see the rates.